Would Nikki Bella Consider Having a Kid on Her Own? For Nikki Bella, her baby has always been her career, but when it comes to welcoming kids of her own, the WWE star is not here for doing it solo. "I think the day that I choose to have a baby, I want to have that with someone. I don't think I want to do it on my own," Nikki told E! 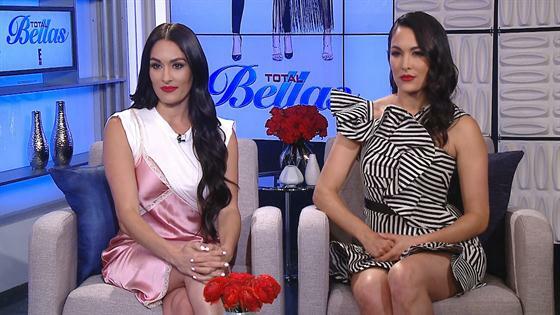 News exclusively Wednesday while promoting Sunday's season three premiere of Total Bellas. "I really want to create something with someone and just have that with them and if that never happens, I was never meant to be a mom and I was just meant to be the best Auntie Coco ever." As a mom to one-year-old Birdie, Brie Bella totally understands where her sister is coming from. "And it is really special when you see the person you love, that you created this," Brie gushed. "She does things that are so Bryan and then she'll do things that are so me. It's just, it's very magical. So I could see where you would want to wait for someone." Brie also made the case for adoption and thinks Nikki is more than strong enough to create her own "Bella Army."